Usually, when you hear about roster announcement for fighting games like Jump Force, you expect a little more fanfare than a quick post. Not to mention receiving a trailer of some kind showing off their sweet moves and powerful combos that will destroy your face at first glance as you can’t wait to play them in the game. 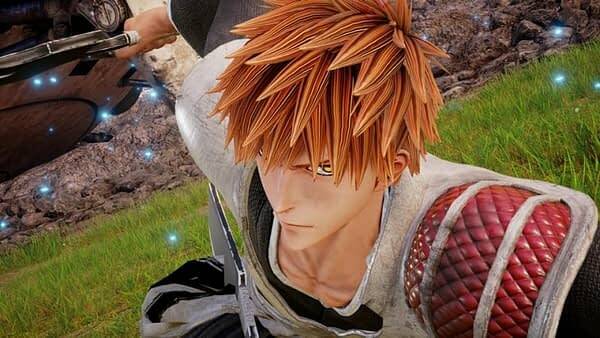 Sadly, that was not the case today for the latest character reveal for the game, as the company simply went to Facebook and let you know that Ichigo from Bleach would be the next addition to the roster. The news actually came out about it last Friday, if you head over to SiliconEra‘s posting of Jump Magazine‘s reveal. But considering all of the hype around the game and how people are basically salivating over seeing who they can play as next, it’s kind of a let down that we’re only getting a few snapshots. Especially after all of the hype they put around Dragon Ball FighterZ last year every time a new character was announced. Hopefully, this week they’ll see how many fans were excited that he was added and they’ll do a quick video reveal later on.